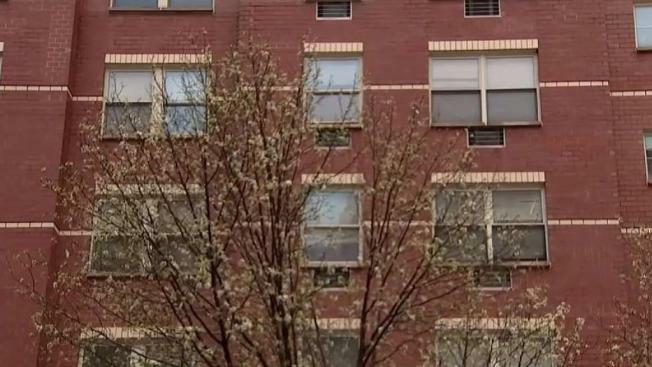 Police shot and killed a man who allegedly approached them with a knife in one hand and a wooden stick in the other when they responded to a Bronx apartment building for a report of harassment, Jummy Olabanji reports. Police shot and killed a man who allegedly approached them with a knife in one hand and a wooden stick in the other when they responded to a Bronx apartment building late Sunday for a report of harassment, authorities say. Authorities encountered the 32-year-old man in a fourth-floor apartment when they got to the scene on Grand Avenue in Morris Heights. Sources familiar with the investigation tell News 4 one officer tried to stun him, but it didn't work -- and he started walking toward them again. At that point, around 10:45 p.m., that same officer fired his weapon, striking the man in the upper body. "The officers exited the apartment, but the subject was still advancing quickly toward them," NYPD Chief of Department Terence Monahan said at a news briefing on Monday. "At that point, one of the officers discharged his service weapon four times." Investigators were on the scene of a deadly police-involved shooting in the Morris Heights section of the Bronx Monday morning. Katherine Creag reports. The man was pronounced dead at a hospital. Two officers were taken to another hospital with complaints of ringing in their ears. No other officers were hurt. The name of the man shot and killed has not been released. Neighbors told News 4 he had a history of mental illness. They said he did harass and annoy other tenants in the building, but they were upset he didn't get the help he may have needed. Police said the officer who fired his weapon was wearing a body camera at the time, adding that the incident is under investigation. Monahan said the 32-year-old man called police to say that his apartment on fire shortly before 11 p.m.
At around the same time, the NYPD received two 911 calls reporting that the man was threatening neighbors and banging on doors with a large stick, according to Monahan. Neighbors said they had questions about the shooting. "He's not a violent person, so why would they shoot him?" a neighbor who knew the man said. "It really doesn't make any sense to me." "I feel sorry for him. Because his behavior was the behavior of someone crying out for help," another neighbor said. The man's friends and neighbors say he was originally from Atlanta, where his family still lives.